The Hunting Barn Owl provides a threat to pest birds, as one of their predators. A realistic profile, wind-motion tail and wings, creating a more realistic effect. Life like eyes for maximum impact. Movement of the material generates rustling noise to aid in the deterrent to birds. 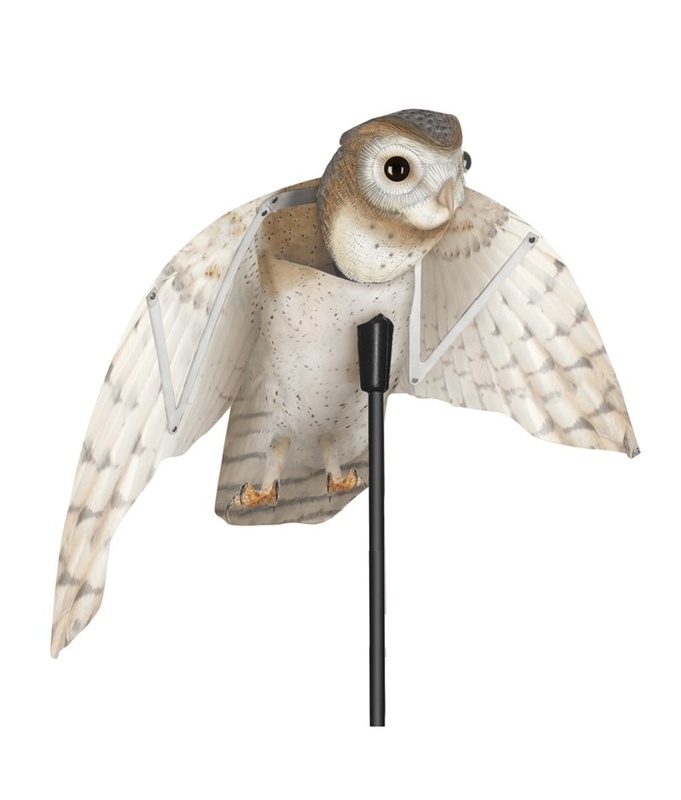 The Owl comes with a deep pole-mounting socket to install a pole, broom handle or something similar (Pole not included). Seen Hunting Barn Owl Cheaper? We will match any online price for the same product.